Happy New Year! Did you all have a fantastic holiday?? I hope so! I've been hearing a lot about resolutions this week, and while that's the norm, January 1st is something totally different for me. January 1st was my nan's birthday, and she was a big influence on me in the kitchen. Today I would like to share with all of you the last recipe she passed on to me. Cream butter & sugar till light and fluffy. Add egg yolk & vanilla extract. Mix in flour and salt till combined. Stir in pecans & potato chips. Bake time depends on the size of the cookies. If you make 1/2 ounce cookies, they bake at 350 degrees for 10 minutes. If you make 2 ounce cookies, they bake at 350 degrees for approx. 15 minutes. Remember to rotate once halfway through. What a fun idea--and I'm sure she would approve of the little chocolate bath for the cookies! This sounds like such a great combination - I love chips and chocolate - but combined in a cookie! Great idea. Potato chips and cookies?! Holy cow, never heard of this one before...I am sure that adds a lovely salty delight! What a neat sounding cookie and what a great way to remember your nan! Potato chips...in cookies?? I've never heard of such a thing! But I've got to say, I'm liking the way it sounds. These look undeniably delicious! Loved this post! I think about my granny a lot too when I cook! These cookies sound so interesting, I've gotta try them! What a great post.... I love how food bonds us together with people we love. This recipe sounds great... I like potato chips in lots of things and I am sure the cookies would be right up my alley. YUM! Food does have a way of bringing us back to memories of times and people we love. 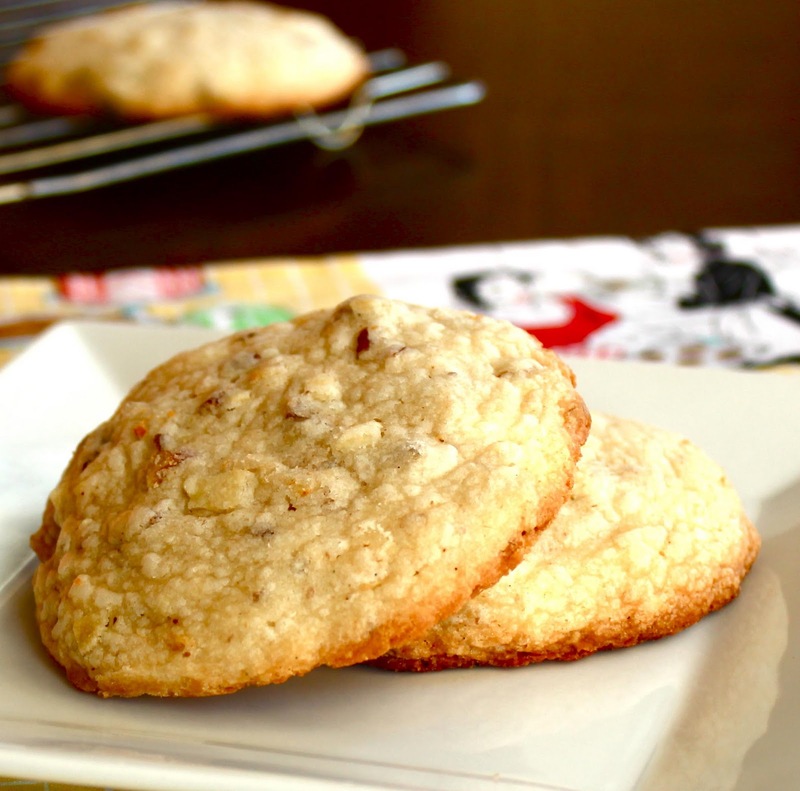 These cookies are definitely a way to conquer the salty sweet craving! Your suggestion of the chocolate dipping makes it even better. Yum! Those are THE best recipes! I love making my grandmother's toffee for the same reason. I love this post. My grandmother was also a huge influence on me and I love making her recipes. What a great way to ring in the New Year. Delicious! I went to a cookie exchange this holiday season and someone who had passed on made these and everyone was discussing how she forgot to bring the recipe...so it was gone. Thank you for posting this - I'll be sharing it with my friends and they'll be thrilled. Your Nan sounds like a terrific lady and she left you quite a culinary heritage. Great recipe! Family recipes are always the best though! I make these during Christmas every year. Aren't they amazingly delicious?! Love them! awesome! i would love to have it. What an incredibly fun cookie! They look fantastic :) Happy New Year! This was such a sweet post. Love hearing your memories and adore your Nan's cookies. These sound super interesting! They must taste great! I'm glad you decided to share the recipe, these cookies sound delicious! I have a recipe like this that a girlfriend passed along to me. These cookies are truly addictive, and so much fun to tell people about because they never believe their are potato chips in them! Loving this idea! I'm sure the sweet/salty balance is perfect! What a lovely picture of your gran, singing Heaven. I feel the same way about chocolate. 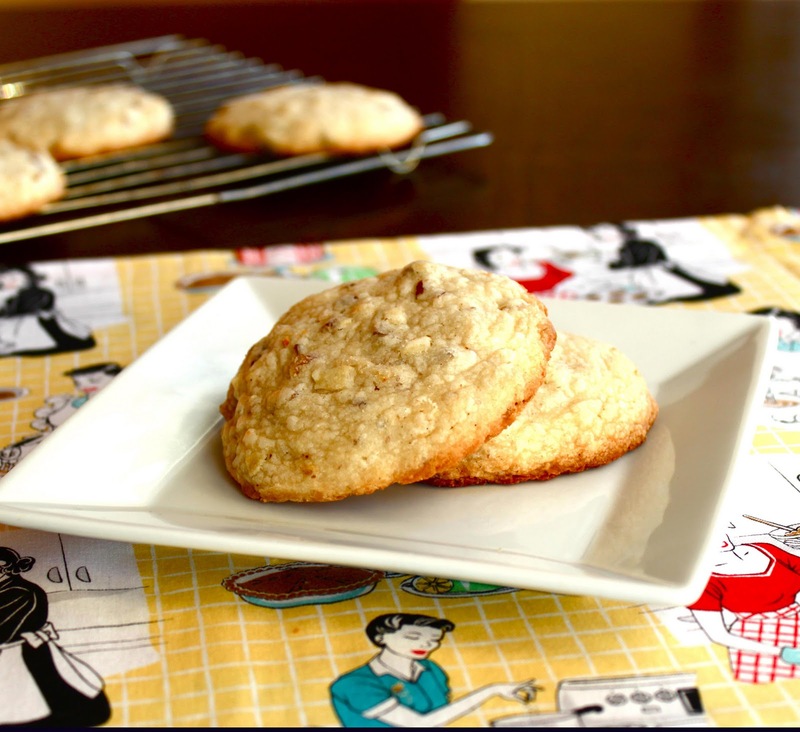 Love this cookie recipe - the potato chips are such an unusual ingredient but I can see them working really well. A definite MUST TRY! Congrats on making the Top 9! These are some beautiful cookies. They sound delicious! Salty and sweet is a winner in my book. It's funny I came across your recipe today. A friend of mine called the other day because she wanted to make Potato Chip Cookies. She had a question and since I love to bake she called me. Her recipe called for an egg. I couldn't find the one I had so I searched the internet and found a combo of recipes, most did not call for the egg. As I got to thinking I told her, it sounds like a basic butter cookie and you want it to be crunchy so I said leave the egg out. My question is....doesn't the egg (or egg yolk) totally change the texture of the cookie? How sweet your Nan and my youngest brother share a birthday. Perfect way to celebrate her memory and Congrats on Top 9, perfect way to ring in the new year, huh! Hope you had a great weeekend. These remind me of a cookie my grandmother used to make too! I love the crunch and salty flavor the chips bring to the cookie! And congrats on Top 9! I used to make these great cookies quite a lot for my kids. I think I got the recipe off a C&H powdered sugar box back in the 60's. It's still in my recipe box but looking a bit used! I love this idea! I am always craving salty and sweet together so this is perfect! Congrats on the top 9! wow this is the first time I heard about potato chips in cookies, i think the taste is awesome, me and my kids will surely enjoy the taste of this because my kids love potato chips. I'm so intrigued! And I know I am late, but congrats on making Top 9 the other day! Happy Monday! Your Nan was a smart lady- this recipe totally makes sense! Can't wait to try these!! Thank you for sharing such a personal recipe and memories of your Nan. :) These look wonderful! Love the combination of flavors. I'm going to make these cookies soon. But, I wanted to ask if that is a tablecloth or kitchen towel underneath the plate? I love that print! It's a placemat I found in a cool little boutique a while back. Hope you enjoy the cookies! Blondie Cheesecake & a Giveaway!